I blogged about this album a few months back and now that it’s been out for a while [iTunes, Amazon], I’ve been playing it a lot and have to say I am enjoying it very much. It’s a two disc set that takes you way back at the beginning and brings you forward to present day. Tracks that are getting a lot of multiple plays are #6 “Blood”, #11 “Crown Of Thorns”, #26 “Faithful” and #29 “Rearviewmirror”. These songs are so strong as live cuts, demos and sound checks. Track 11 in particular was played at the 10th anniversary performance, which if you know the history of Pearl Jam, you will really appreciate how well this cover was done live. And track 29 was during their last major tour in 2009, which was the last time I saw them live. So after you listen to these songs, you need to go and seek out the documentary, which is so well done [it was done by Cameron Crowe, so it has brilliance already written on it]. It’s on DVD and Netflix Instant Watch. You won’t be disappointed. I had Pearl Jam’s “Ten” on cassette, and I’m pretty sure “Versus” was my first ever CD, a present for my 16th birthday (or thereabouts). They were my favorite band back as a teen but I haven’t listened to them for years. I’ll look into this! And thanks for the tip about the documentary being on Netlfix Instant Watch, I’ll have to put that in the queue. Wow. “Ten” on cassette is cool. I think you will like this. 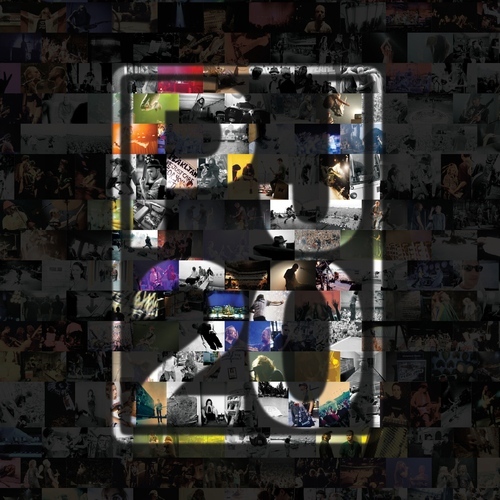 I’ve always been a fan of their live version of ‘Release’ – in fact there are a lot of PJ songs that are actually better live than on the album. With all of the live albums they released in the last 90’s, there are some greater live versions of their songs that have emerged. So there was another before Dave Grohl. Well, it is Eddie, so that’s cool. I still haven’t listened to this and how long have I had it now? Get on it, dude. I think you will like it.